What are some cheap food for Koi and goldfish? The Koi food sold at pet store seems too expensive. So howdo u feed yr Koi practically, other than those Koi food? I mean I need 50lbs bag, or more for my ponds. In the long term you’re going to need it for them to stay healthy… Get a max pack, or something to lessen the cost. Walmart has a huge can of the food for like $5. It is a misconception that fish are ‘easy’ pets. 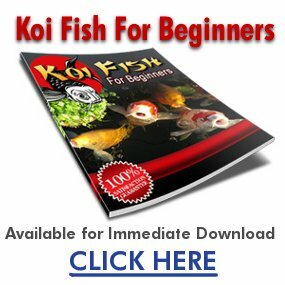 Goldfish & Koi may be ‘easy’ to take care of in comparison to tropicals & marine fish but they are not for beginners in the hobby as they are very expensive fish that take up a lot of space & time. If you’re not willing to put down a whole 5-10 dollars for a bottle/bag of pellets, you probably should find a new home for your fish and get something smaller that requires less food.